I love bras. They are so uplifting. Oh my, Minoshe has a new website and there’s even more lovelies to drool over! I want! I want! I want them all! Cart and I planned to meet again this coming June for our vacation and I was just comparing a few flights from Singapore to Rome and I am flummoxed and quite flabbergasted really, at how fast the price increased in just a span of a week. 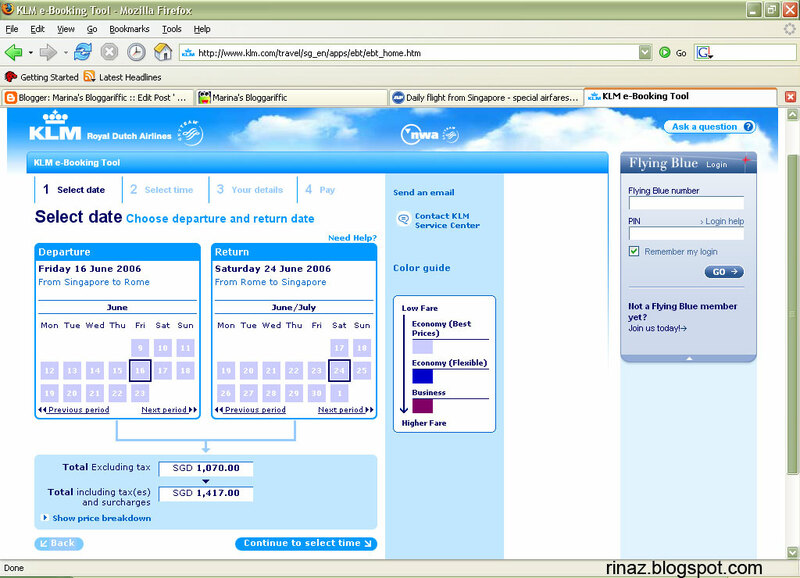 When visiting cartcart last year, we used zuji.com.sg to book a flight. It was a smooth and professional transaction by Zuji.com. I liked the way that they did the itineraries, everything was complete, from the plane number to the gate numbers at the stopover. But it was still kind of pricey, so I thought I’d do a little research myself. 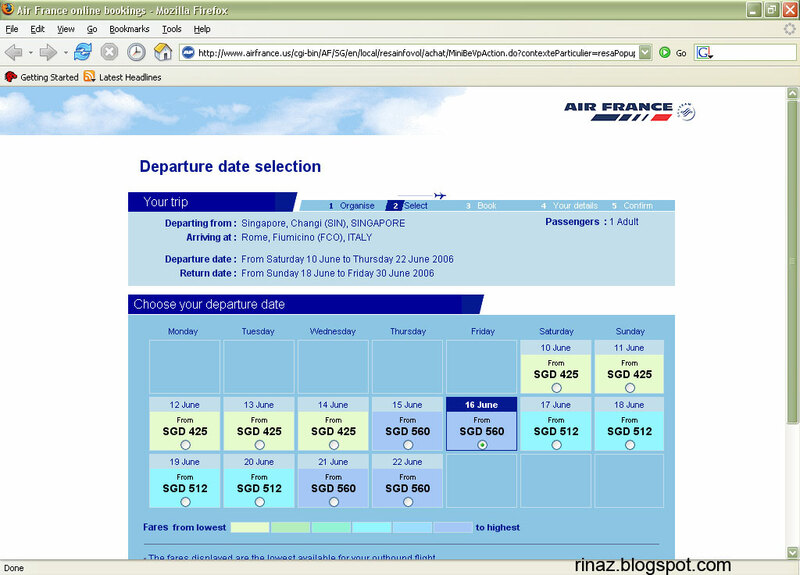 Since I was in the airfrance flight last year which I liked very much, naturally, I went to their website and compared the prices there. A few clicks later, I found that it was about $900 without taxes, and that sounds pretty good. Let me wait a little bit and see if there are other offers somewhere else. KLM my inbound flight was slightly more expensive at about 1.2k without taxes. Today I checked the same flight again and it has increased by at least another $100 dollars … oh my. Plus taxes, it will easily reach 1.5k How now? These flights are costing me more than a month’s pay. Need to find cheaper alternatives. Juli will be going to the Natas fair this Sunday … I think I’ll tag along too. O how I wish I was rich. Wonder what I can do for extra money. Any ideas anyone? Ahh what can I do? Maybe I’ll try to write some articles and see if there be any publication who wants to buy them. I got to try something after all. Thanks for the heads up! I was wondering how it got submitted – but may I know who you are? I took a flight back during the Holidays. The ticket prices were like Stock Market prices. The ticket I originally got went up like 300 dollars in a months time. By the way. The picture of the cat on Deviant Art is priceless. Good read and quite a romantic delight to sight. Me thinks marina should model some for us all!